This has been a tough time for the hubby and I. 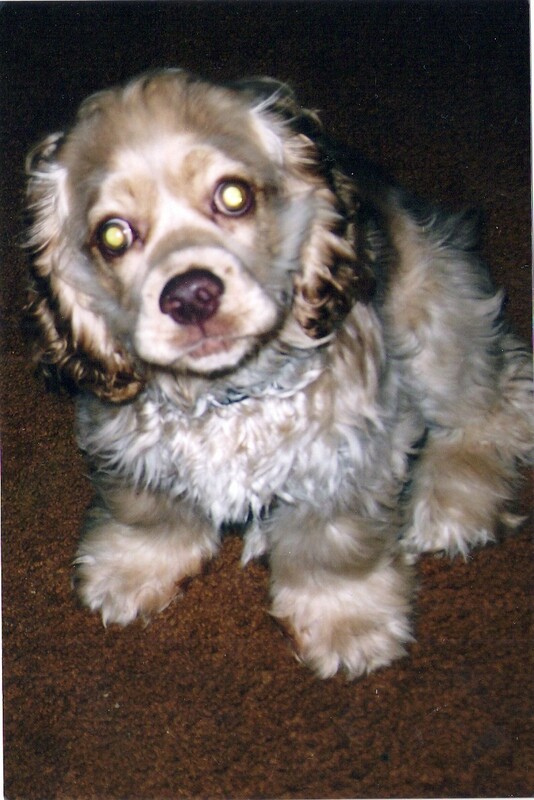 Our lil doggie, Dyson has been very sick so, we’ve been busy with him. It seems that, he may have Lupus. One day last week, he went to do his business and what was supposed to be urine was nothing but blood….pure blood. Then, NS just happened to look at his eyes and his right eye was blood-shot red. We brought him to the vet and they did some lab work on him. We found out is that his platelet count was extremely low and that’s why he’s bleeding. It’s supposed to be 200,000.
he would have been bleeding from everywhere. He’s on medication to bring his platelet count up and has to visit the vet every week to make sure it’s rising. 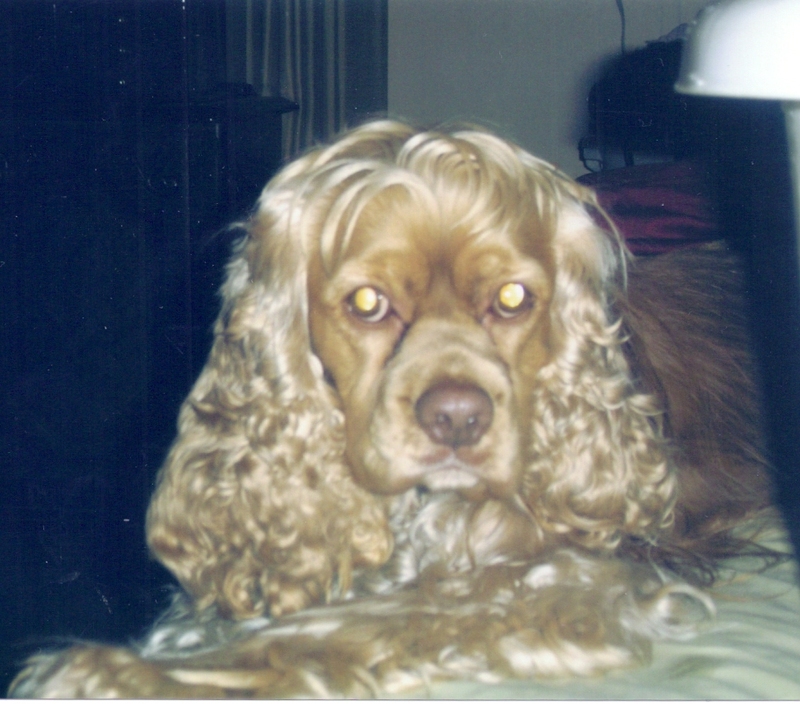 The vet thinks he may have Lupus because, in addition to the low platelet count, he has had seizures and his hair has been thinning. He can’t go outside to play because, we can’t risk him having an accident. The hubby and I don’t sleep soundly at night because, we’re constantly getting up to make sure he’s ok.
he’s been with us since he was 6 weeks old. It’s no secret that, we love our doggies. They are a part of our family. I just hope he gets well really soon. Ok y’all I’m using my lil ole’ blog right now trying to help someone achieve a dream of hers. I’m trying to help my wonderfully fabulous sister-in-law win a contest and I need y’all help. 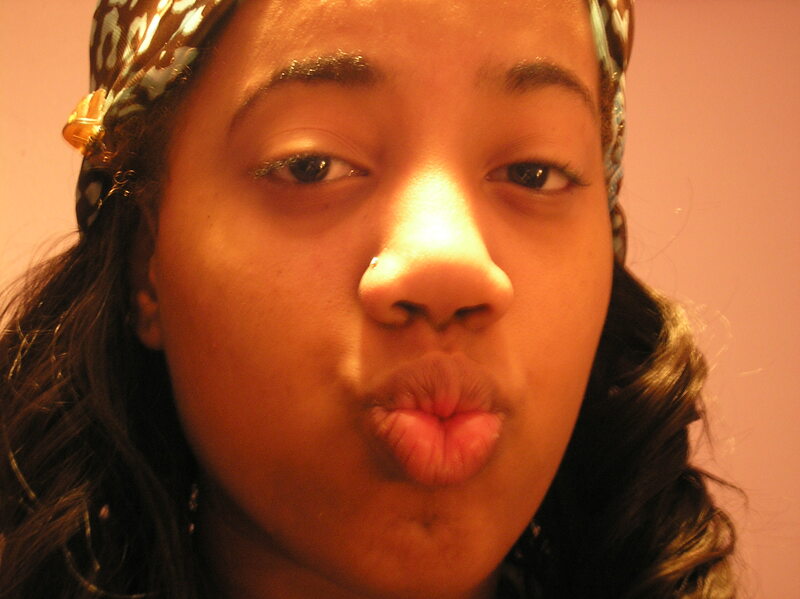 It’s sooooo simple, all ya have do is go to this link and click on the video for Andrea Emilien….it’s the 3rd video. Andrea’s active with a weight loss community called Mamavation. Every couple of months, Moms campaign to be a Mamavation Mom. These ladies go through a 7 week book camp and receive a ton of support from different professionals along the way. They receive an individualized nutrition and fitness plan. In addition, they also make their successes and trials public for the community to follow. My sister-in-law is a finalist but, she needs the votes to ring in so she can win. I want her to achieve her dream. she’s full of positive energy. she’s loyal to her family and friends. She struggles with her weight like a lot of folks do and this is the chance of a lifetime for her. Her chance to receive professional help and tons of support in her weight loss journey. I’m all for people reaching their goals. No dream killers hanging around the Bayou. Don’t allow none to hang around the Bayou either. Life is too short for negativity. So, let’s all help Andrea win this darned competition! I wish I could vote more than once, she’d STOMP those chickenheads if I could. They only allow one vote though. I know I can count on y’all to help me, help her! Cuz only folks with good energy hang on the Bayou. fi yoooo(fire) on the bayou, fi yoooo on the bayou…. After last night, that song seems REALLY appropriate. Yesterday started out really great. 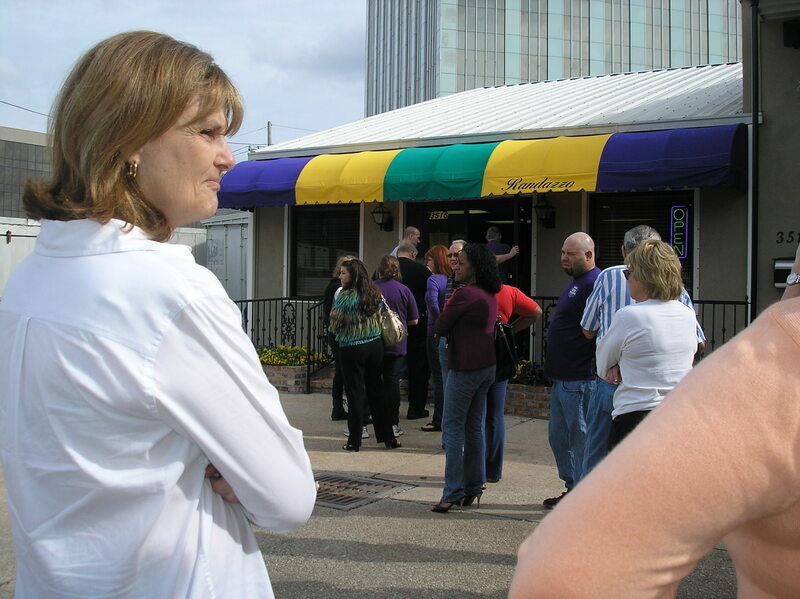 The hubby and I went to Randazzo’s as planned to get our king cake and as usual, the line was running out of the door. 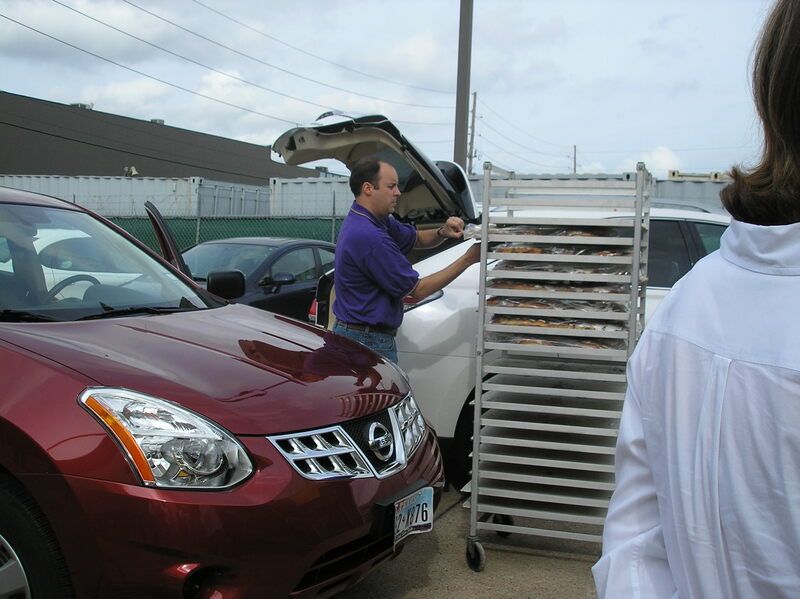 I didn’t catch the guy in the red car loading his king cakes but, he had more than the guy in the pic. By the time we made it inside, they only had a few left. 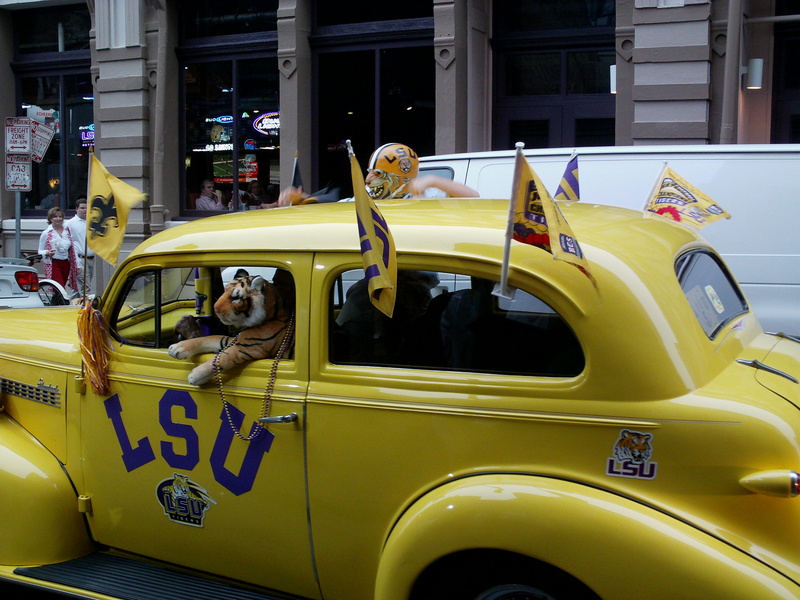 All of the LSU and Alabama king cakes were sold out by 10 a.m. I got the baby so, I have to buy another one. After we left there, we picked YellowJacket up from school. The kids were let out early due to all of the traffic expected uptown. While we were driving home, we saw a lot of tourists riding the street car. The city seemed as if it was divided by colors…red on the street car uptown, purple on the streetcar downtown. 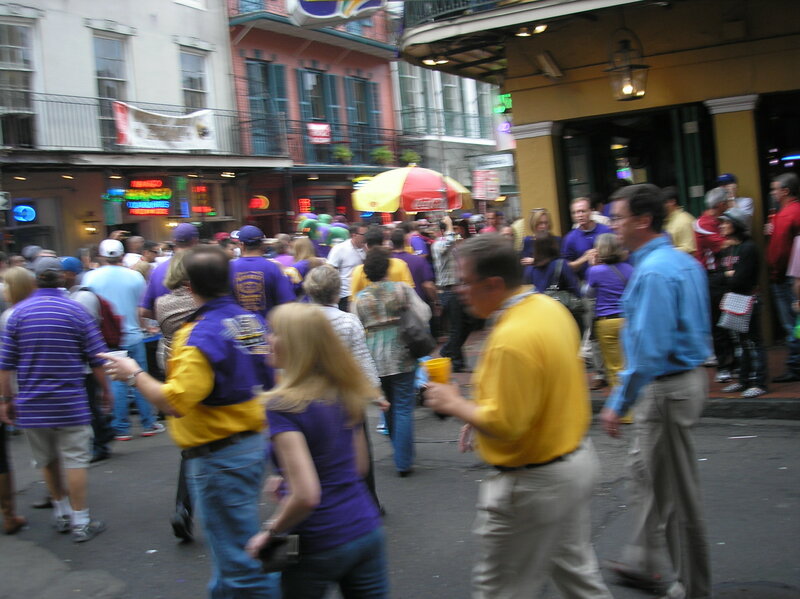 Except in the French Quarters…it was a sea of purple and red there. 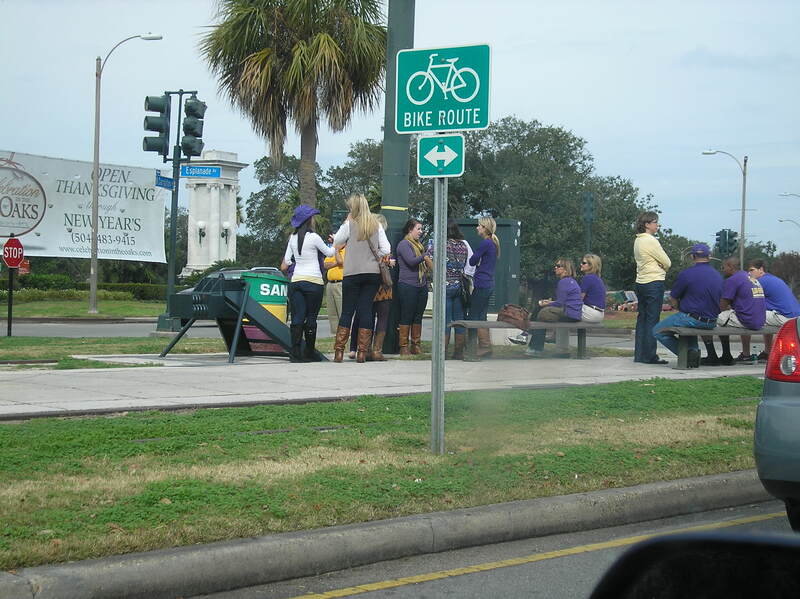 We made it to the quarters around 1:30 and was finally able to find a parking lot with a few spots left. The energy was crazy there! We tried to get something to eat at Tujagues but, not only was it crowded, they had an abbreviated menu. The menu didn’t really have much on it so, we left and made it down to old faithful…Deanies on Iberville. That was my first time eating at the one in the quarters. The food tastes better there than the one in Bucktown. Don’t know why but, it does. Would you guys believe that, we were in the heart of the quarters and didn’t get one drink? How’d THAT happen? That’s because I’m more of a foodie. 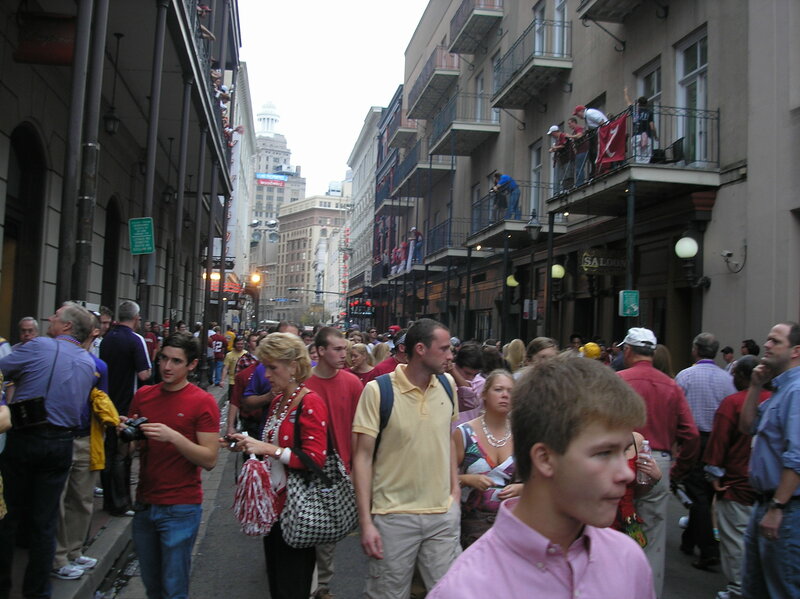 you’ll never catch me in the French Quarters without hitting a restaurant. 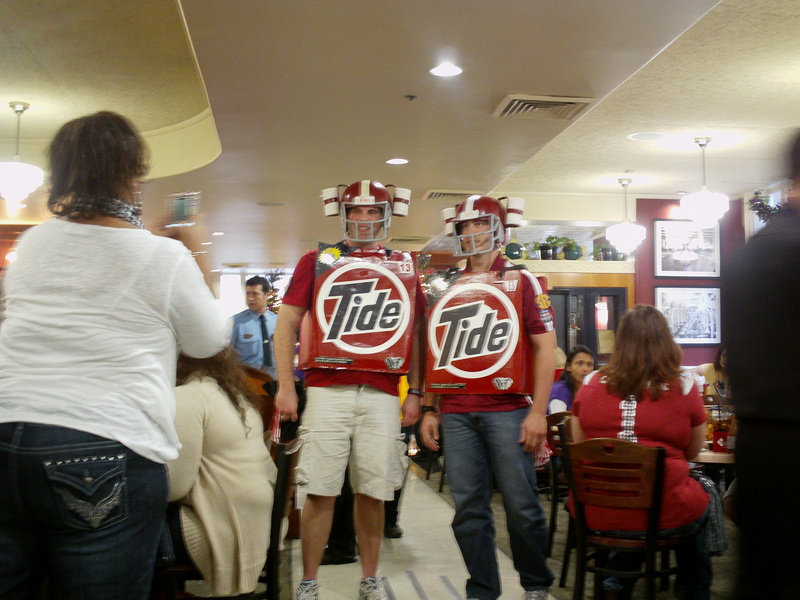 I’m glad we had fun before the game because,it was all over after that. 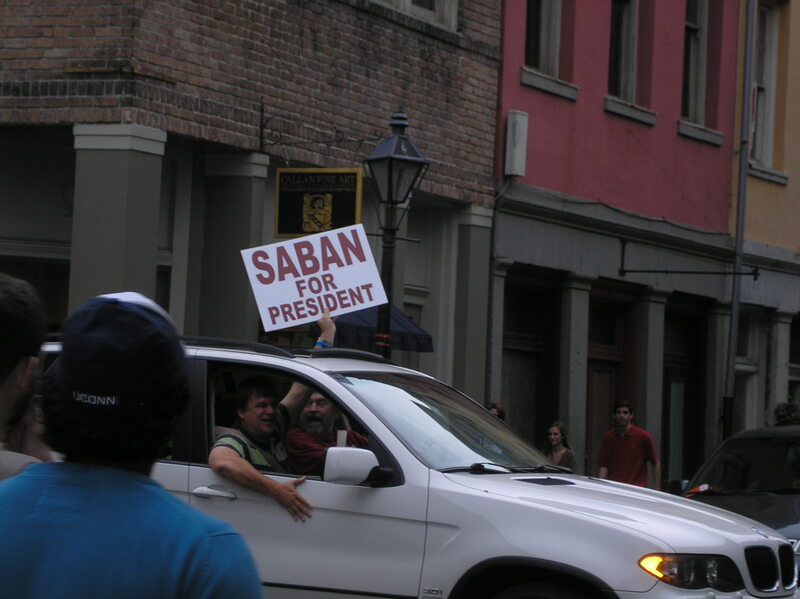 Congratulations to all of the Alabama fans! 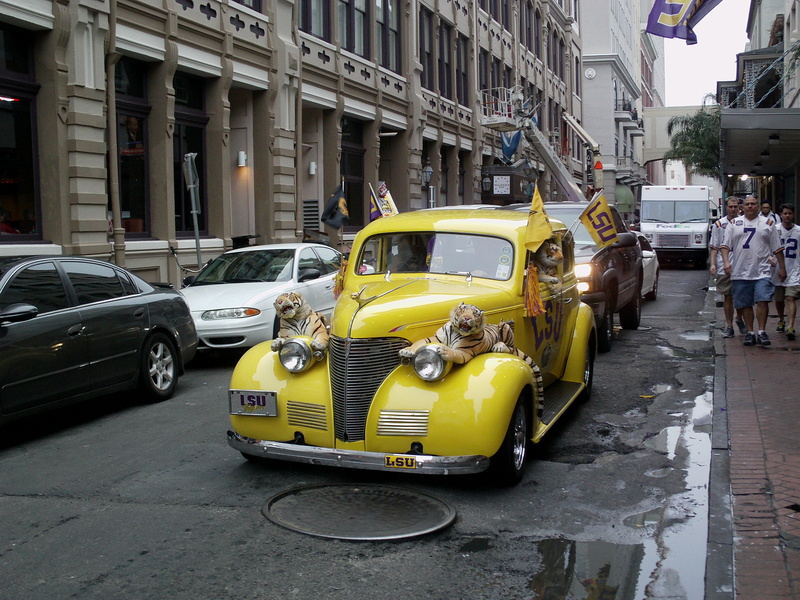 LSU football team, hold ya’ head up! Your true fans still love and support you. 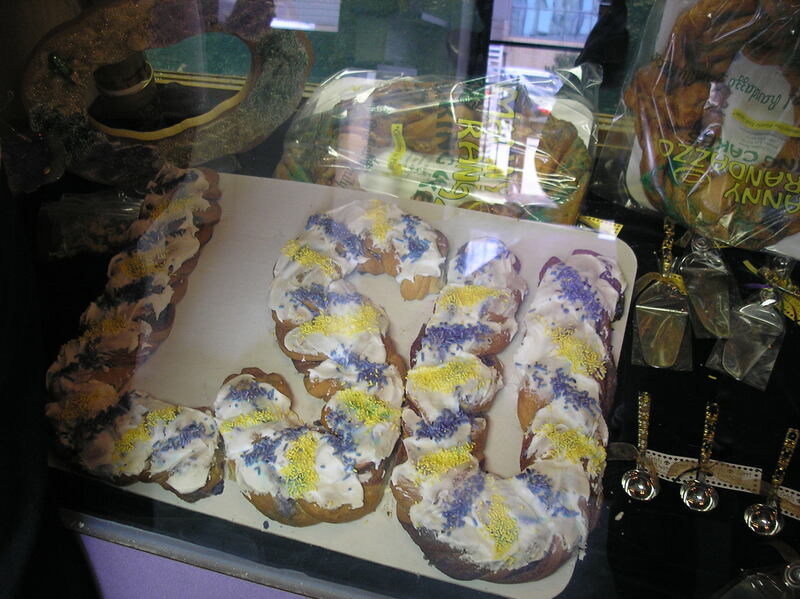 I know a lot of people aren’t from the area and don’t know the significance of king cakes so, here’s a great link that explains it all right here. NOLA.com had a contest for who had the best king cakes. The Randazzo’s family held the top three spots. 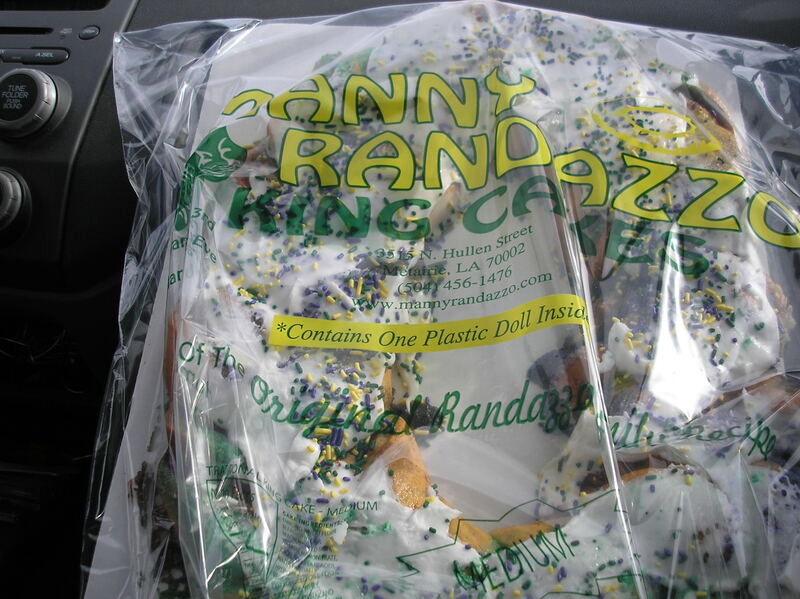 I went to Randazzo’s in Metairie to get me one but, I went too late and they only had LSU king cakes. 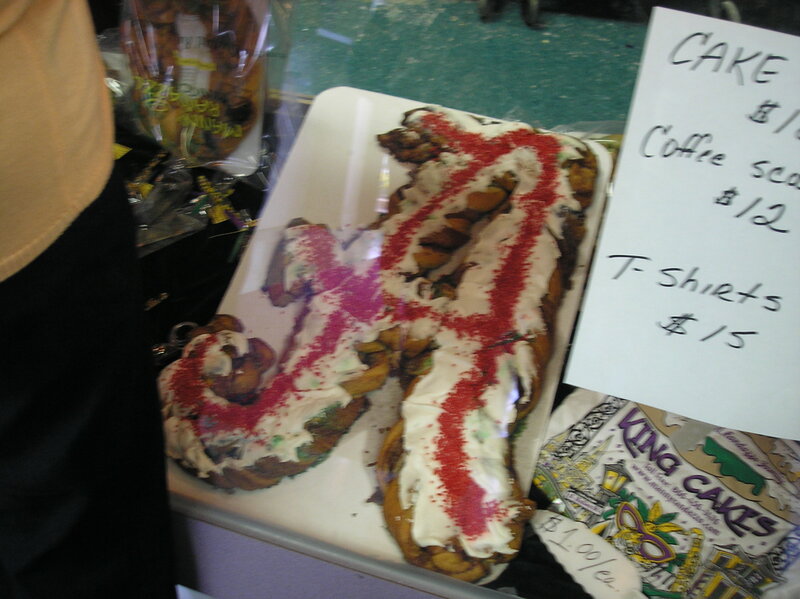 I’m a traditionalist…give me the a regular old king cake…. I’ll be going back today bright and early for one. Oracle, I’m sending my babies their king cake. I’ll email you with the arrival date. 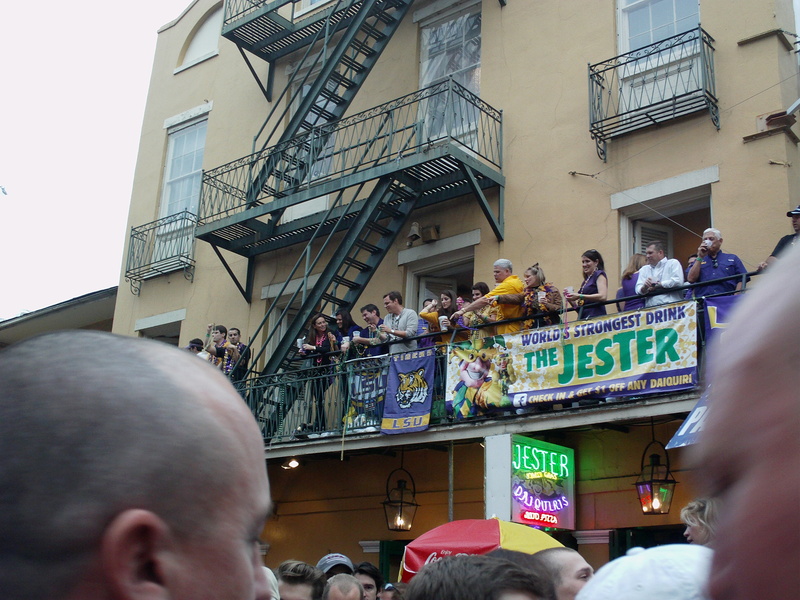 We’ve entered the official start of Mardi Gras! I’ve already talked to a few co-workers and we’re hammering out a deal for them to work the Endymion/Bacchus weekend for me. 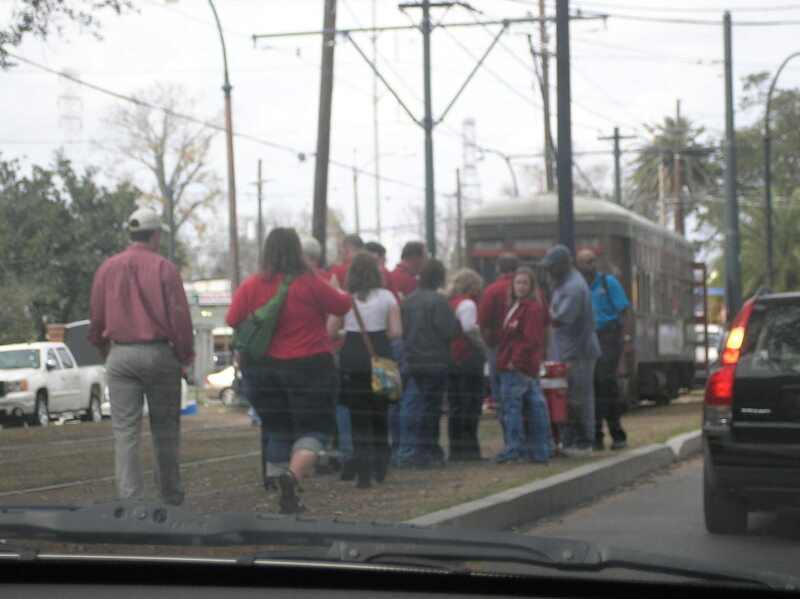 The problem is, most of them live on the wet westbank and NOMTOC is their big parade. It’s always the same day as Endymion so, we’re trying to figure something out. I’m getting it how I live. Ok, a lot of folks are like, what does THAT mean? 2. to acquire anything by any means necessary or available. 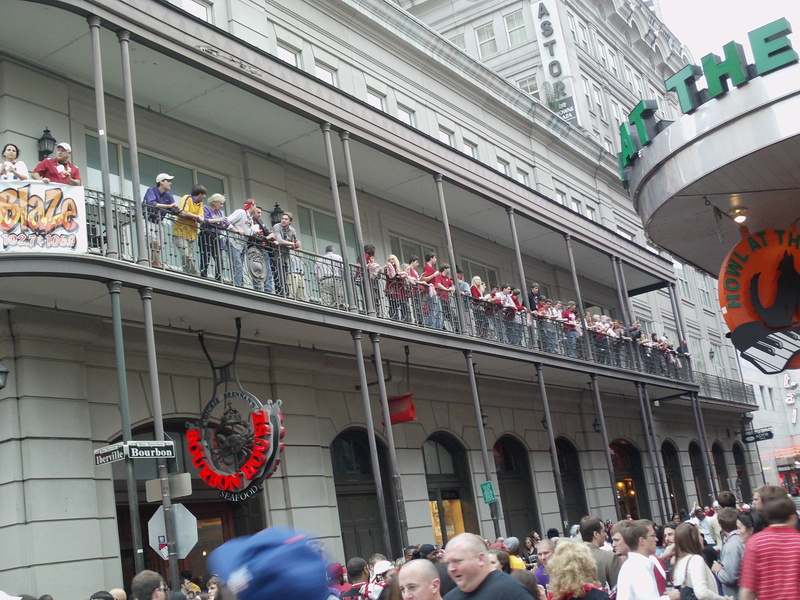 It’s one of those NOLA slangs that I hear waayy too often…lol. Is it just me or are the seasons running into one another? I was taking down the Christmas decorations and putting up the Mardi Gras ones at the same time. The grandstand seating tickets in Lafayette Square are on sale now, they started early this year. NavySeal and I will purchasing tickets once again. 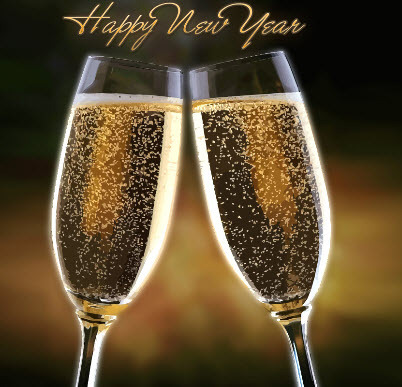 This is our 3rd year now…wow. 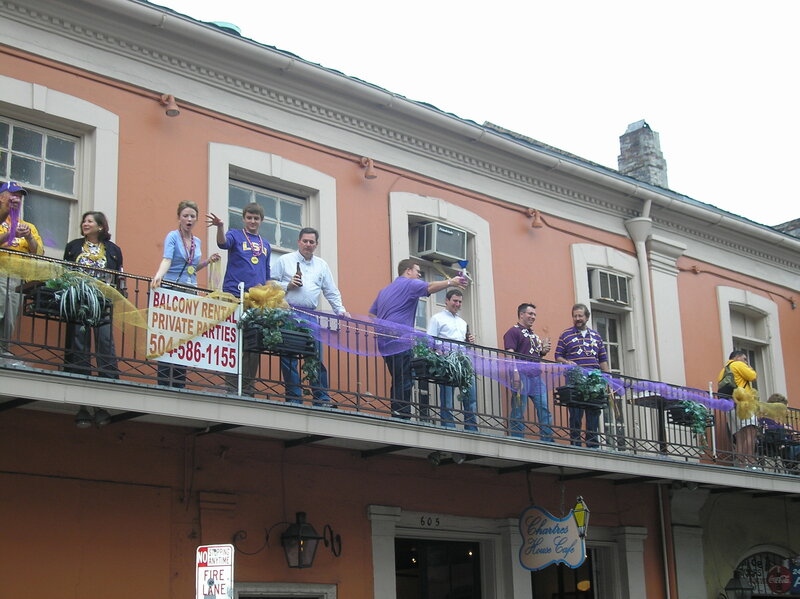 I think since the kids pretty much do their own thing for Mardi Gras, this will be our official spot. We’re going to sit on the other side of the street this year. I’ve noticed that the crowd is thinner on the Federal Reserve side so, that’s where I aim to be. On another note, my daughter got her nose pierced *sigh* She had been whining for one for a while now so, her dad brought her (and paid for it) as one her Christmas gifts. I wasn’t gonna pay for it but, I did agree to it. She’ll be 18 in a few months and I’m trying to be a parent who supports her individuality so, I was willing to compromise. She could get one but, it could only be a stud and it had to be the smallest stud available. She happily agreed and as much as I hate to admit it, it really does look cute on her. My daughter has a free spirit… I get her. Even when I feel like strangling her…I get her and she gets me. The Saints game was awesome! I had to watch it at work but, we were some screaming fools on the job let me tell ya! Now, let’s just go to Cali and git-r-done again! get in the midst of all that crazy energy.